Villa Lefkas is a luxury holiday home directly at sea on the island of Lefkada, Greece. The villa provides enough space for up to 8 persons, has a large terrace with private pool overlooking the Ionian Sea, and has a private platform at the sea for swimming, fishing or sunbathing. In 2017 the villa was extensively renovated by a top archtitect to create one of the most luxurious waterfront villa in Lefkas. The holiday home is located in Sivota Bay, one of the most sought-after areas in the Ionian Islands. The villa features two large outdoor areas so you can fully enjoy the weather during your holiday. To one side of the villa is a large sunbathing area with private pool (45sqm) and plenty of sun loungers overlooking the sea. To the other side is a very large terrace shaded by a pergola with barbecue, outdoor dining and outdoor living areas. On the inside of the holiday house there is large open living area with large windows so you can fully enjoy the sea view. 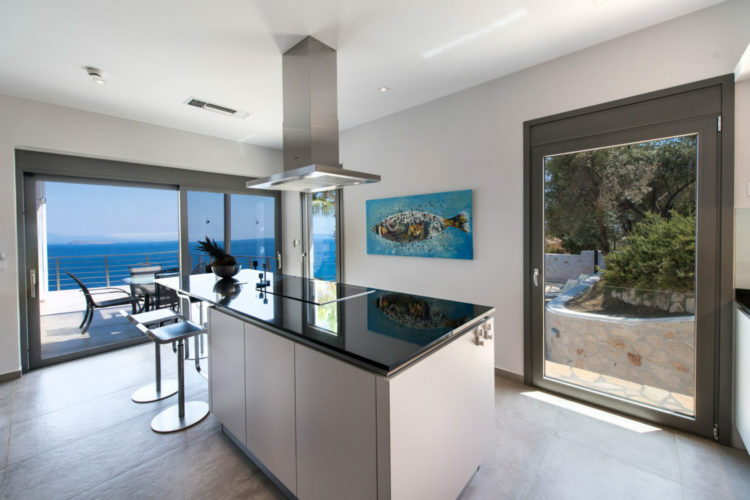 In order to make you feel like home during your holiday in Lefkas the villa is fully equiped with a modern kitchen and modern design furniture. 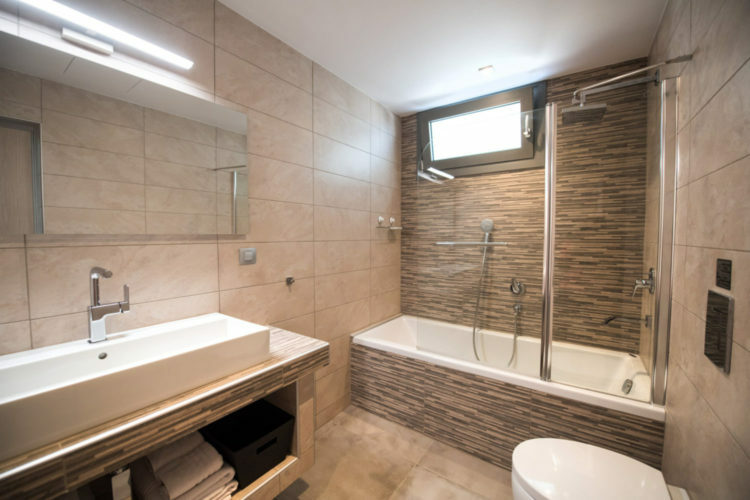 The villa has 4 bedrooms with a private bathroom, each bedroom has a beautiful view over the sea. The villa also features a garage for two cars plus a parking area for two cars. If you want to rent villa Lefkas or want to receive more information about the villa, please feel free to contact us. These are the facilities and services included in the price of your holiday. A few of them are available on request and may be charged. 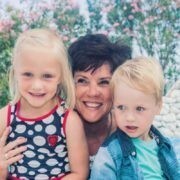 Besides her grandchildren, she also loves good food and wine! No surprise she's the right person to ask for information on nice restaurants around Sivota. 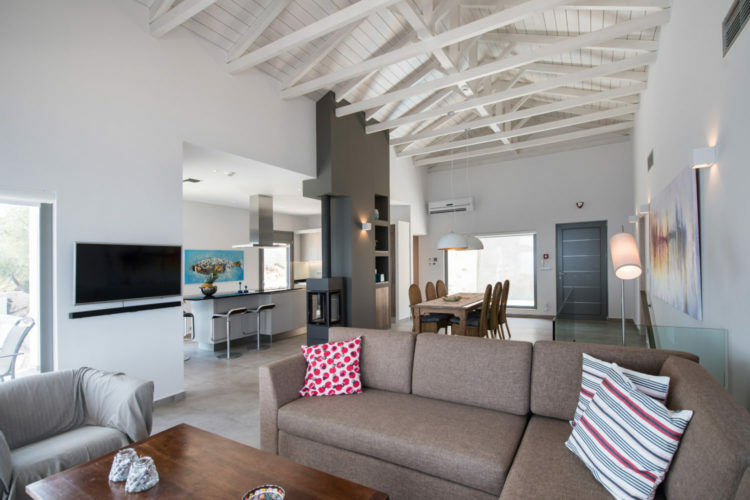 Villa Lefkas is located directly at the sea close to the picturesque fishing port Sivota, located in south-east Lefkas and about 33 kilometres from Lefkas Town. In Sivota you can find a wonderful selection of waterfront taverna's!